The era of chemical and physical synthesis of nanoparticles is coming to an end as the concerns regarding toxic byproducts and drastic experimental conditions pile up. Biological or green synthesis of nanoparticles has gained a lot of attention in the past decade as it offers an environmentally benign alternative to chemical and physical strategies. Synthesis of nanoparticles using edible and medicinal mushrooms has emerged as an interesting field of research as these macrofungi act as eco-friendly biofactories the secrete enzymes essential for reduction of metal ions into their zerovalent or nano-form. Apart from being an environmentally friendly, the nanoparticles synthesized using mushrooms exhibit higher stability, longer shelf life and enhanced biological activities. While the mechanism of synthesis is still not fully understood, reports suggest that fungal reductases and flavins have a major role to play. 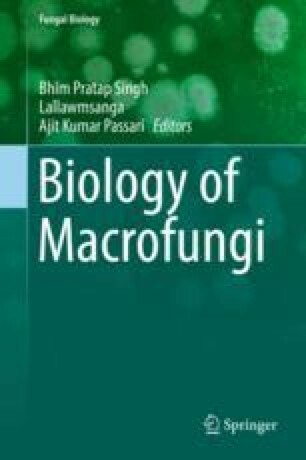 A variety of macrofungi have been used for synthesis of metal (Au, Ag, Fe, Pt etc.) and non-metal (Se, CdS etc.) nanoparticles. These nanoparticles have found vast applications in advanced biomedical and industrial ventures. More understanding of the synthesis mechanism would help in optimization of the synthesis protocols for controlled size and shape of nanopartilces.